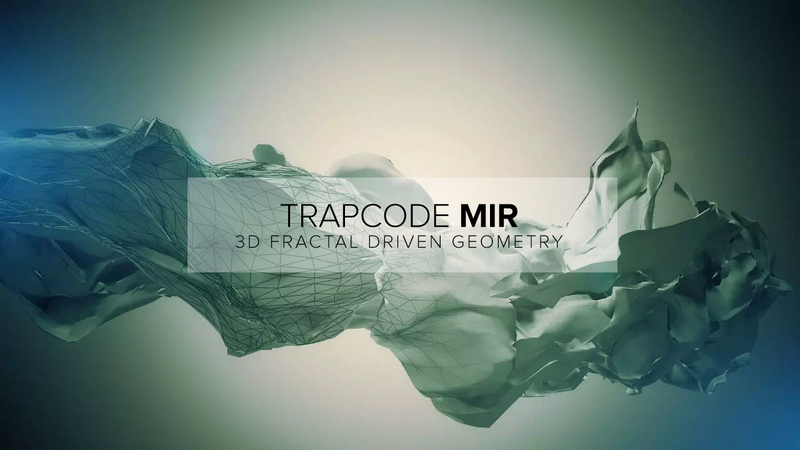 Trapcode Mir allows you to create 3D geometric objects for your motion designs and animation. Its speed makes experimenting and animating extremely easy and reacts well with After Effects cameras and lights. 3D Geometry – Create a 3D polygon mesh that can be twisted and bended for your design. Material & Shading – Set the material color, reflectiveness, specular, diffuse, and much more with controls over 3 Shader modes to apply different lighting effects. Manipulate – Easily create duplicates of the mesh, offset it, scale it, and transform it without a speed hit. Texture Maps – Use texture maps and apply it to the mesh for powerful texturing capabilities. Trapcode Mir is perfect for creating abstract 3D designs very quickly for your motion design projects. Mir gives you tons of options to manipulate and distort your mesh to create awesome looking 3D objects, and rendering it without a problem. The shading and lighting controls help you tweak your object’s material and appearances to get the look that you like. It’s easy, it’s fun, and it’s fast.